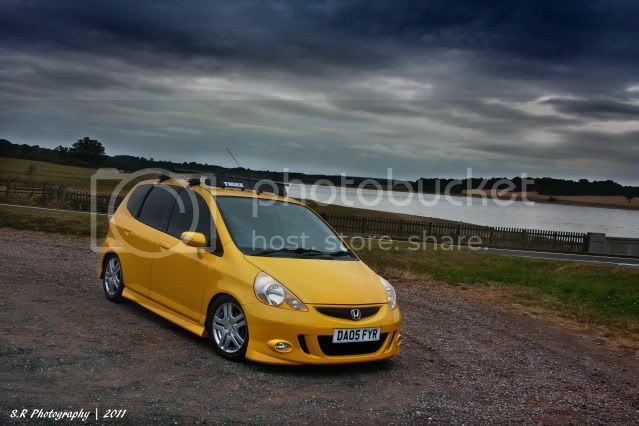 I purchased myself a Jazz, as i wanted to stay with Honda, and all my civics were getting expensive to run. Its perfect for what i wanted and im mega happy with it. My GF decided she didnt like it because it was slow and quiet and nothing like a civic, however after 2 weeks of driving it, she decided its now her car, she has named 'him' Charlie Bug, and i rarely get to drive it anymore! But such is the life eh? My friend did some fancy pics for me so here they are. 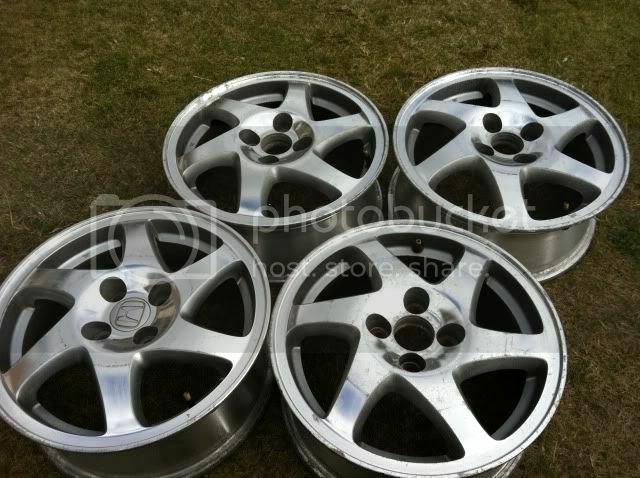 Ive recently purchased some new wheels, From a USDM Teg, Shiny! What do you guys think? Any pointers or suggestions? 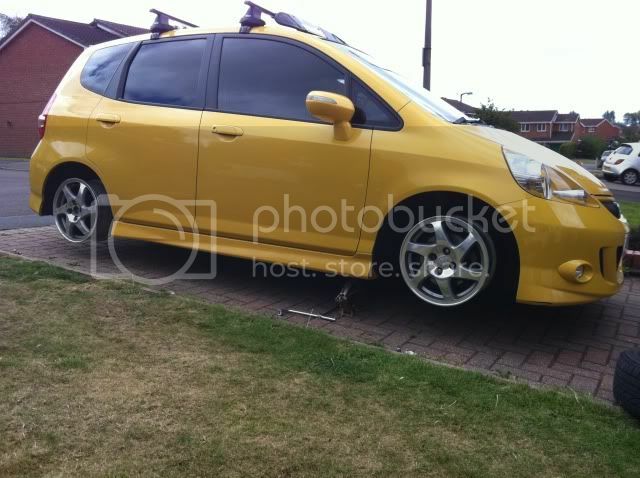 Stunning mate, never been sure of the yellow version but yours is very nice , Have you lowered it ? Do you live in the Staffordshire area? those backgrounds look very familiar. 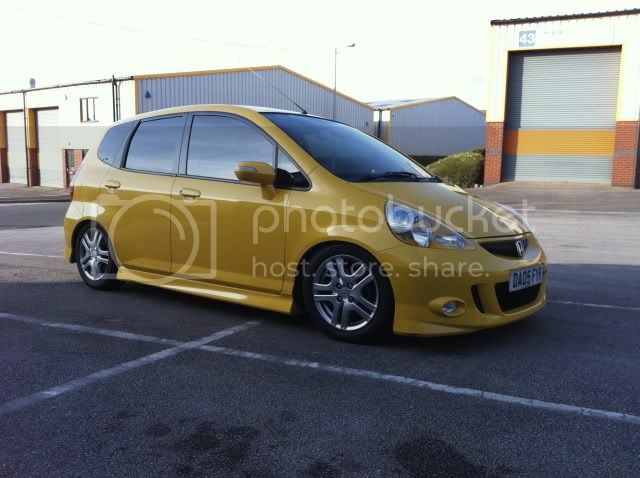 Yes, its lowered on BuddyClub coilovers, which are surprisingly similar to the standard ride.. I live in the West mids, Wolverhampton to be precise, but my friend who took the pics is from Cannock, The powerstation in the background of one is Rugely power station. Exactly where I thought and Blithfield Reservoir too if I am not mistaken. Great pictures. nice drop on the car, mines running eibachs so not quite as low as yours! did u do the tints yourself?? 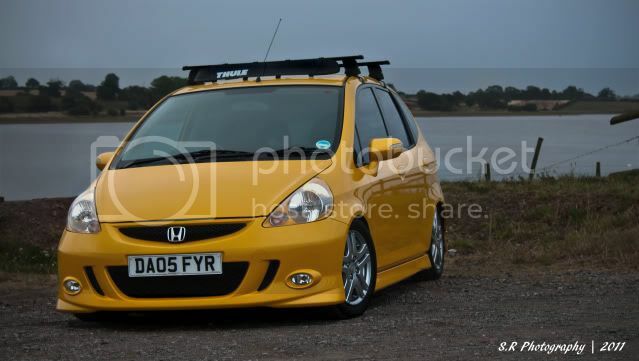 thats my next little change on the car!! Have you colour coded the headlights, or is that standard? It looks really sweet dropped on coilovers. I would get a set for my Jazz, but i've had coilovers on my last 2 cars, now enjoying the practicality of std suspension, heheh. Also, as others have said. I'm not a fan of the "trend" of fitting roof racks just to fit in with the in-crowd, but its your car at the end of the day. Enjoy it. 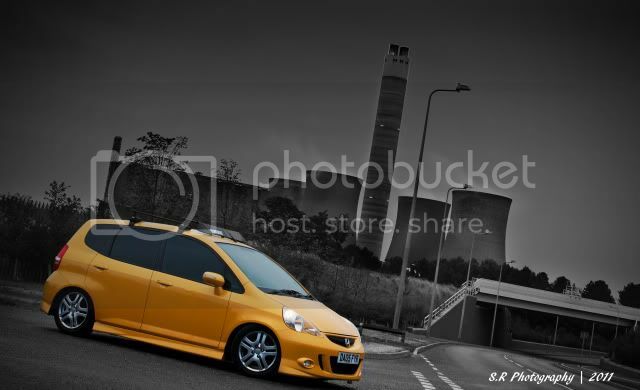 Great photography of a great looking car - BUT - do them again without the roof bars! Wow this thread is still going. I took the rack off a few weeks ago for the winter, and the car just looks so odd and incomplete now. Ive had racks on my last 3 cars, and ive always liked how it looks, and used them alot, great for fetching fence posts and other large items! Im about due some pics now from my friend who is clever with a camera, so i will ensure i leave the rack off. 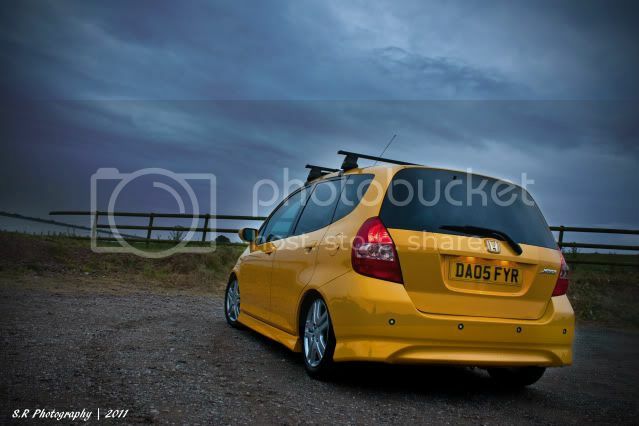 My Honda: jazz 1.4 type s 2006 manual metalic blue k&n alloys etc etc. I just got a set of Honda ones for my ladders and pole,I am a window cleaner. I'll take sum pics in the light. Liking the bars. I just got myself some black alloys for my Jazz. Hoping to have them as a winter set. I took some pics with my clever photo buddy, I sneaked one on my phone while he was working his magic..
Hopefully in about a week, i will have some clever ones to show you.